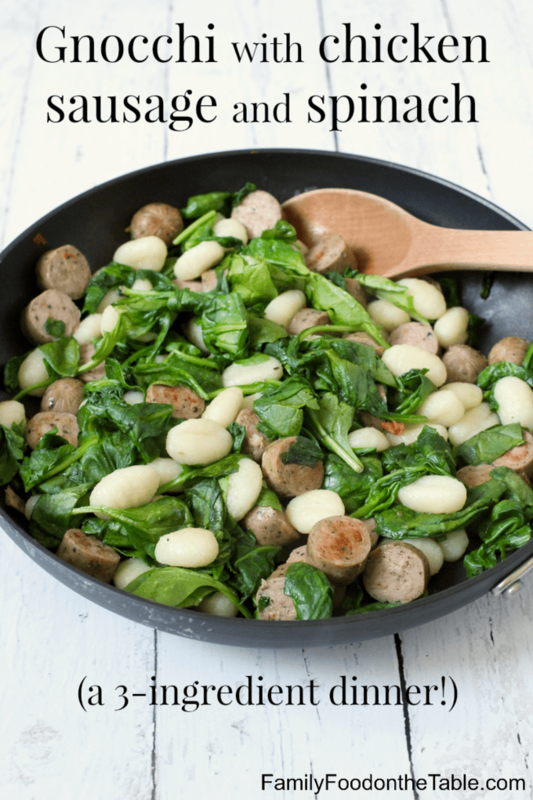 Gnocchi with chicken sausage and spinach is an easy 3-ingredient dinner that’s ready in 10 minutes! Here’s your new go-to weeknight meal. 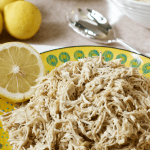 It’s 3 ingredients and takes about 10 minutes (depending on how fast you can boil some water). Easy, peasy. 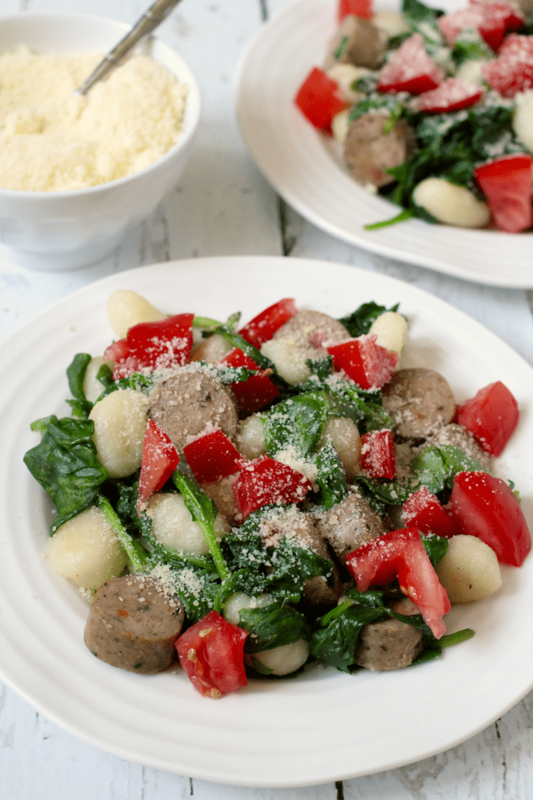 And customizable – use any type of gnocchi you like. Use any flavor of chicken sausage you want. Or regular sausage, but then you’d need to make sure to cook it all the way through. 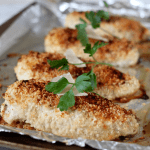 Add in any veggies you have laying around in the fridge that need to be used. Take this as a template and make any substitutions you like. And if you’re feeling fancy, make it a 4- or 5-ingredient meal with some fresh tomatoes and/or Parmesan cheese on top. Yum! 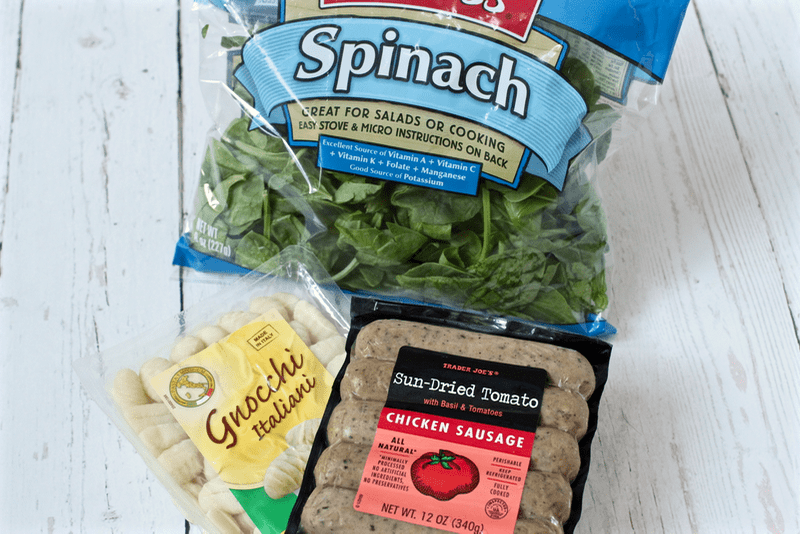 I like to keep these ingredients on hand so I have a go-to weeknight dinner on hand, in case it’s been one of those days. You know, work decides to blow up with deadlines and meetings, kids decide not to nap well, everyone’s whining, you have a hundred things pulling at you in every direction and then, it’s dinnertime and you’ve got to feed some hungry mouths. Gah! Deep breath, easy recipe, 10 minutes, all-in-one, perfection. Relax. Settle in with a fork, and maybe a glass of wine, and enjoy the conversation. Cause I’m all about cooking at home. But there’s more to life than the kitchen, so I’ve always got a few basic recipes up my sleeve that are easy, healthy and fast. So I can get back to living. 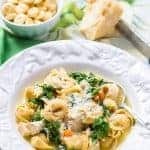 A few other quick + easy favorites are my 15-minute southwest chicken skillet, 15-minute honey garlic chicken, 20-minute chicken and tortellini soup and skillet salsa chicken. 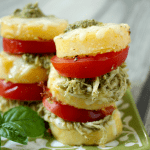 My pesto chicken polenta stacks also are ready in 10 minutes and require just a few grocery store basics. No matter how crazy the day, this gnocchi with chicken sausage with spinach is a fast and easy dinner that’s sure to hit the spot. 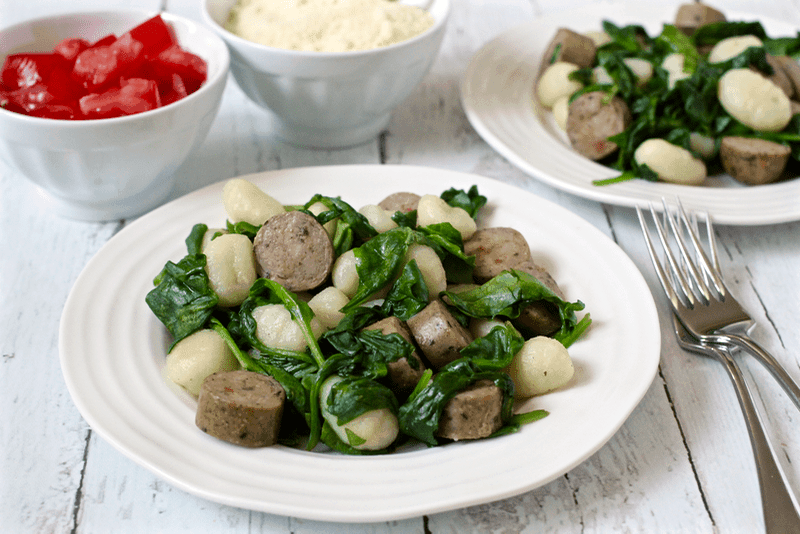 An easy gnocchi, chicken sausage and spinach dinner that's ready in 10 minutes! Meanwhile, heat a large skillet over medium high heat. Add oil, if using (see notes below). Add sliced chicken sausage and spinach, and saute for 3-4 minutes, until sausage is warmed and spinach is slightly wilted. 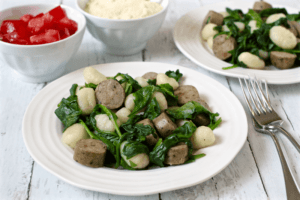 Mix with the gnocchi, once it's cooked, and serve! Top with chopped tomatoes and Parmesan cheese, if desired. 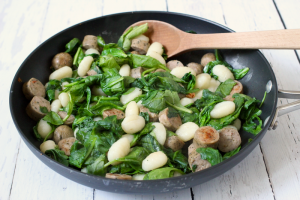 I don't use any olive oil here because the sausage and the spinach cook so quickly and have enough moisture on their own. Plus, I use a non-stick pan. 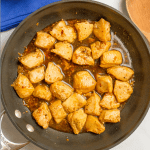 If you are using another type of pan or if your pan seems dry with these ingredients, feel free to use a teaspoon or two of extra-virgin olive oil. 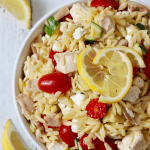 Yes – I think you’re right about adding a little garlic and olive oil – can’t go wrong with those! Thanks for stopping by!